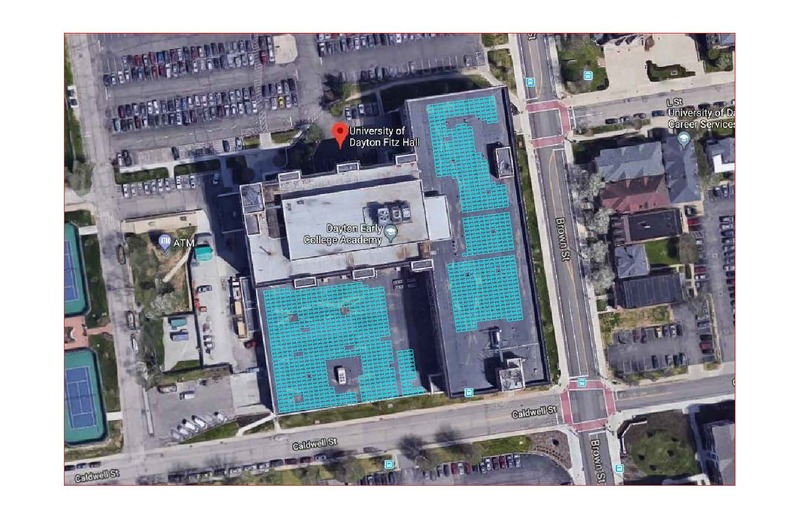 CINCINNATI, OHIO – Melink Corporation has announced a partnership with the University of Dayton to install 4,026 solar panels with a capacity of 1.26 megawatts of power at two of the University’s campus locations; Curran Place and Fitz Hall. Melink Corporation will engineer and construct the arrays, as well as own them and sell the electricity to the University as part of a long-term power purchase agreement. The University has an option to purchase the arrays after eight years. The solar arrays will provide nearly 10 percent of the power consumption of both buildings as well as power electric car stations at the two locations. Overall, the panels will provide approximately 2 percent of the campuswide power consumption and offset carbon emissions by about 1 percent annually. Offsetting campus carbon emissions by 1 percent in a year is equal to the annual greenhouse gas emissions of 278 cars or the annual carbon dioxide emissions from 1.4 million pounds of burned coal, 140 homes, or conserving 3,010 barrels of oil. the modules, and document the process for future use. Post installation, the Hanley Sustainability Institute and the University of Dayton Engineers in Technical Humanitarian Opportunities of Service learning (ETHOS), among other faculty, staff and students, plan to use the modules for sustainability research and/or incorporate them into the curriculum or other programming. Learn about how solar could benefit your school or business at melinkcorp.com. About Melink Corporation: We are a global provider of energy efficiency and renewable energy solutions for the commercial building industry. With four business units and a singular energy mission, we help companies save energy, increase profits and make the world a more sustainable place.